Six film directors will be considered whose films have been variously concerned with the art of painting. All five of the below developed an interest in painting at an early age two of who went on to study it—Jarman at the Slade, Greenaway at Walthamstow College of Art. Russell studied photography at Walthamstow Technical College and though mostly associated with his numerous biopics about classical music composer also made three films about painters for the BBC in the 1960s. And while it may be surprising that Tarkovsky, Jarman and Greenaway made only a handful of painters biopics between them, their films are replete with painterly images and the use of actual paintings, for example Pieter Brueghel the Elder’s Hunters in the Snow from Solaris (1972). A sixth director is added right at the end for the sake of completion. Not an actual biopic but does have tableaux vivants of Vermeer’s paintings. All films made for the BBC. Making an Action Painting (1957) made the work of the Royal College of Art action painter William Green’s controversial and he himself notorious by showing him creating paintings by cycling across a surface saturated with paraffin then scorching the surface with fire. His working methods were parodied in the 1961 Tony Hancock film The Rebel. Scottish Painters (1959) on Roberts MacBryde and Colquhoun. Old Battersea House (1961) displays the art of the pre-Raphaelite Brotherhood in a kind of shrine to their work. The 96-year-old owner, the writer Wilhelmina Stirling, was the younger sister of the painter Evelyn De Morgan, and her husband William De Morgan was also part of the circle. Mr. Chesire’s Traction Engines (1962) on landscapes of steam engines. Pop Goes the Easel (1962) on the British Pop Art movement. Always on Sunday (1965) about the late 19th century French naïve painter Henri Rousseau. Dante’s Inferno: The Private Life of Dante Gabriel Rossetti, Poet and Painter (1967) about the relationship between the Pre-Raphaelite painter/poet and his model, Elizabeth Siddal, who also painted. All documentaries unless otherwise stated. Peter Schamoni was a German film director and producer from an artistic and academic family. His father Victor was one of the very first German film scholars, his older brother Victor jnr. a TV cameraman, his younger brother Thomas an artist and director, and Ulrich active as a script writer, director and actor. His mother Maria published her autobiography in 1983, My Schamonis. The theologian Wilhelm Schamoni and the painter Albert Schamoni were Peter Schamoni’s uncles. Peter Schamoni also directed Niki de Saint Phalle in 1999 about the Franco-American painter, filmmaker and sculptor and her collaborations with her Swiss husband, the kinetics artist Jean Tinguely. These are all black and white short documentaries see also Other Painter Biopics. 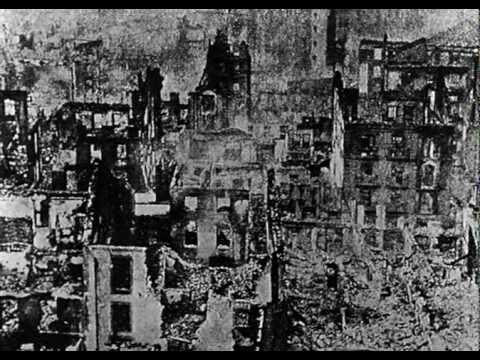 The film “moves beyond” the painting Guernica’s “shattered, exploded composition, finding its visual echoes” in all of Picasso’s works. Just like Van Gogh and Gaugin, Guernica ”is not a film about a painting, or paintings” but instead “an attempt to convey an artist’s vision of the world” (Wilson 19).